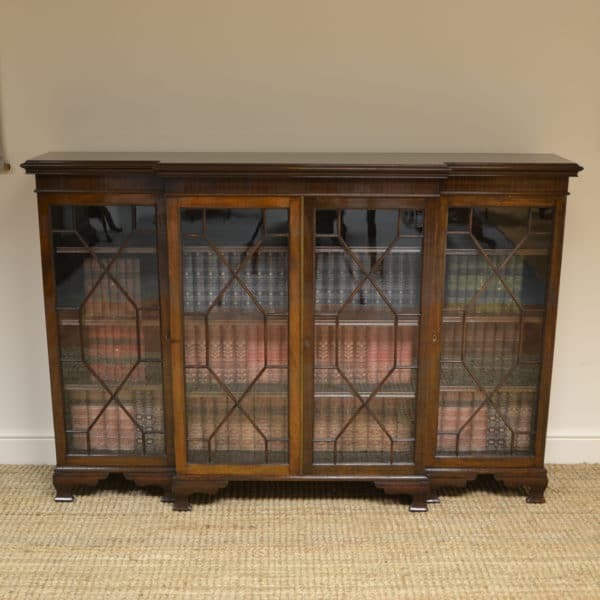 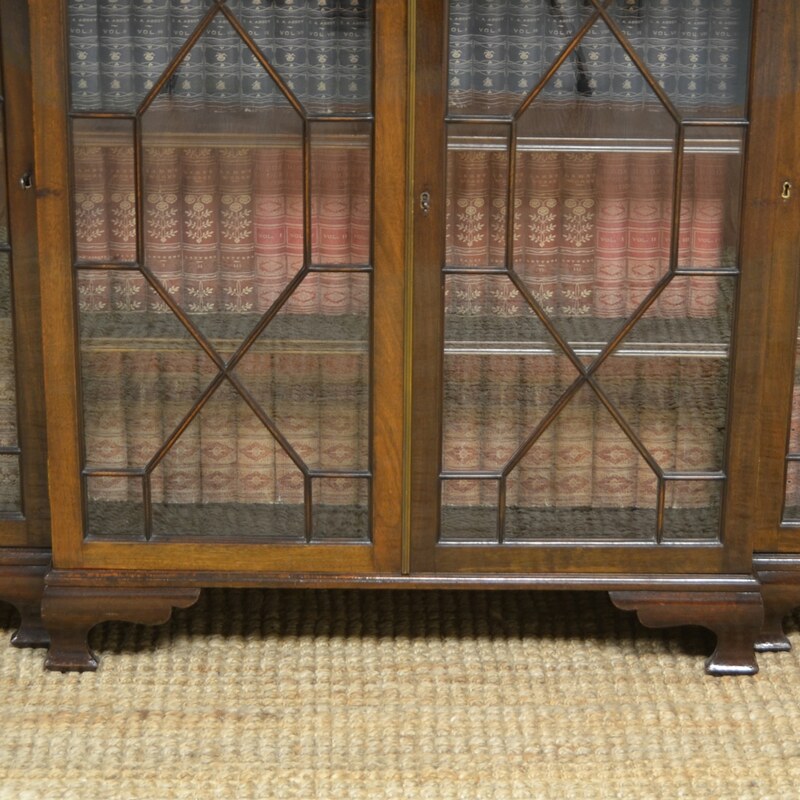 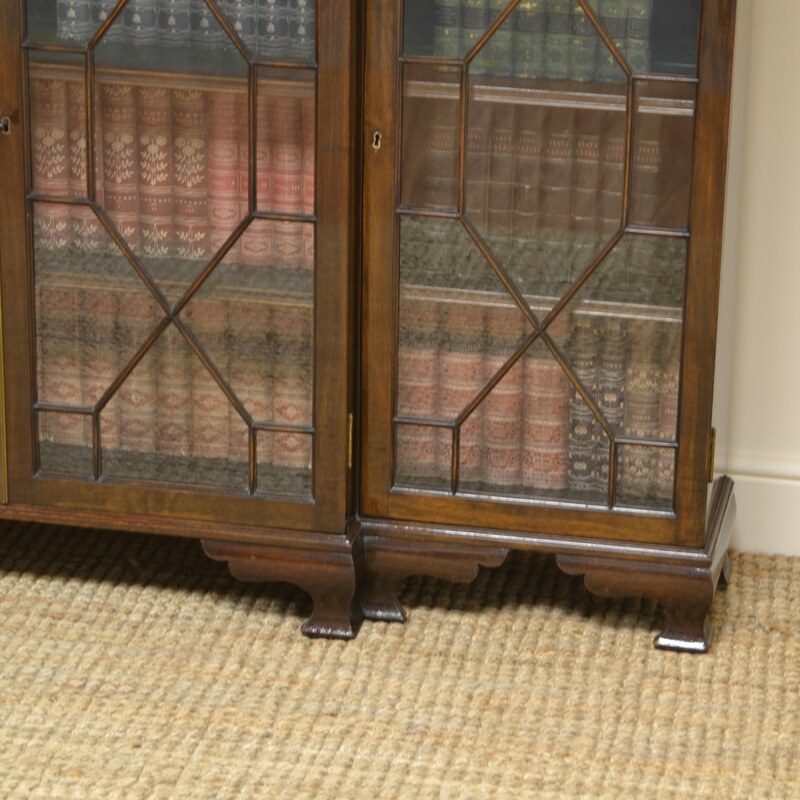 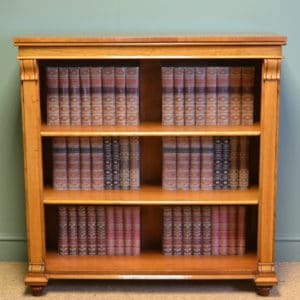 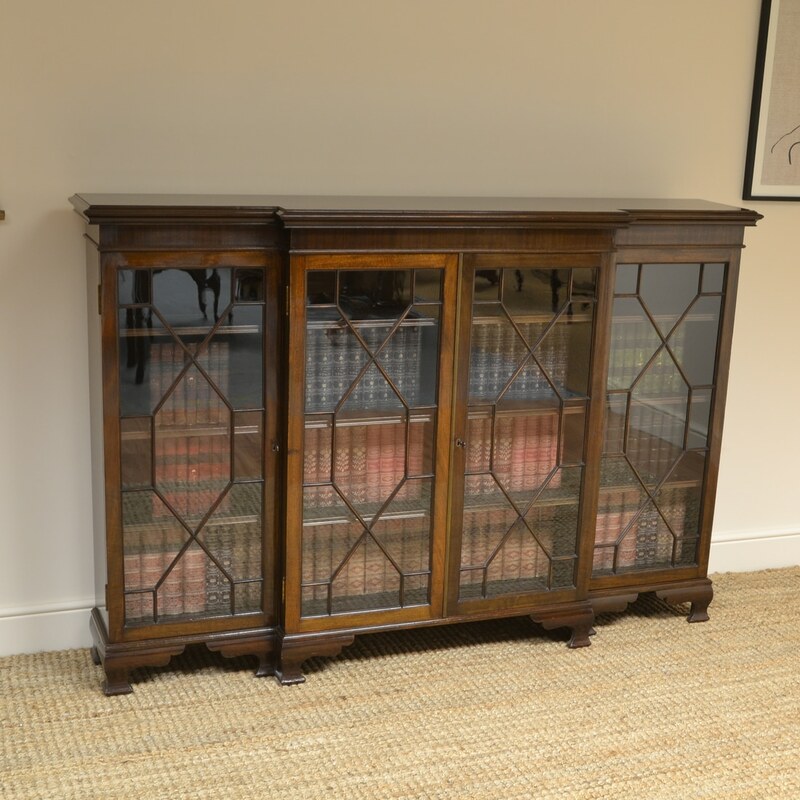 This High quality Edwardian Walnut Break Fronted Antique Bookcase dates from ca. 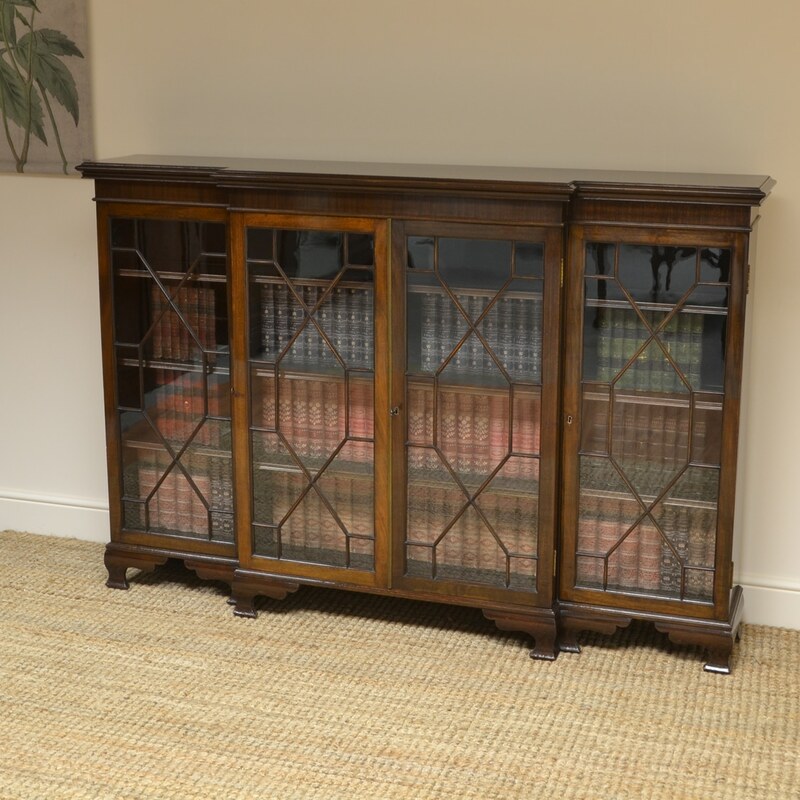 1900, it has a break-fronted moulded top above four astragal glazed doors with keys and locks and each interior have three adjustable shelves. 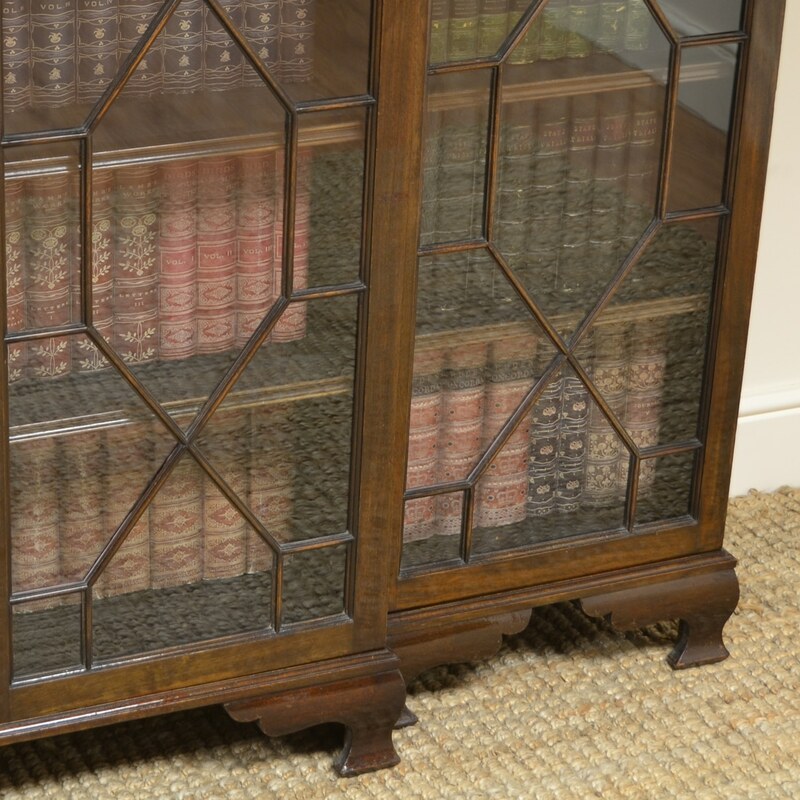 This High quality Edwardian Walnut Break Fronted Antique Bookcase dates from ca. 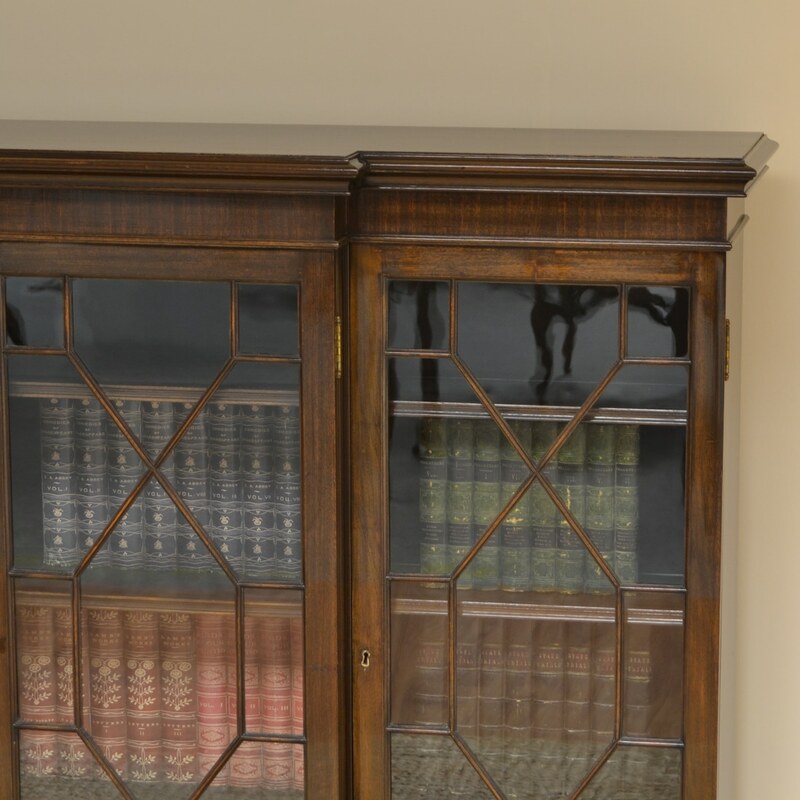 1900, it has a break-fronted moulded top above four astragal glazed doors with keys and locks and each interior have three adjustable shelves. 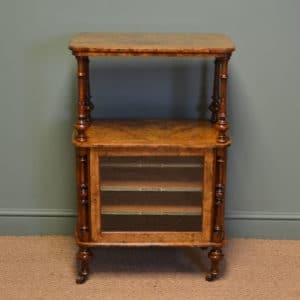 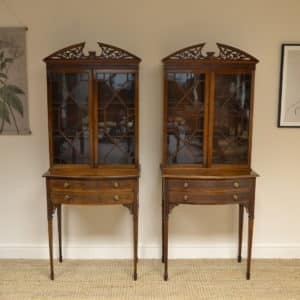 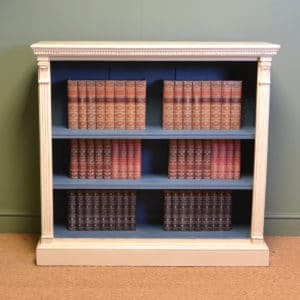 This fine antique bookcase stands on Ogee bracket feet and has aged to a Rich Walnut shade with a striking grain, good patina, is in very good condition and has been beautifully cleaned using a traditional form of wax finishing.